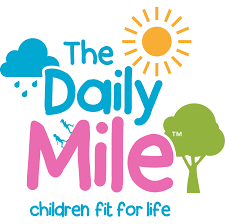 We are proud to be part of The Daily Mile. The Daily Mile is a social activity, where the children and staff run or jog – at their own pace – in the fresh air with their friends. Children can occasionally walk to catch their breath, if necessary, but should aim to run or jog for the full 15 minutes. It has been found to improve not only the children’s fitness, but also their concentration levels, mood, behaviour and general wellbeing. Happy Days Nursery children and staff joined us for a week to run, walk or jog the Daily Mile as part of there Sports Relief work. We had lots of fun working together and encouraging each other to persevere! Even in the wind and rain Bumble Bee class persevered to run, walk or jog the daily mile. The children were great at encouraging each other to keep going when they were feeling tired and even gave their friends a helping hand along the way. 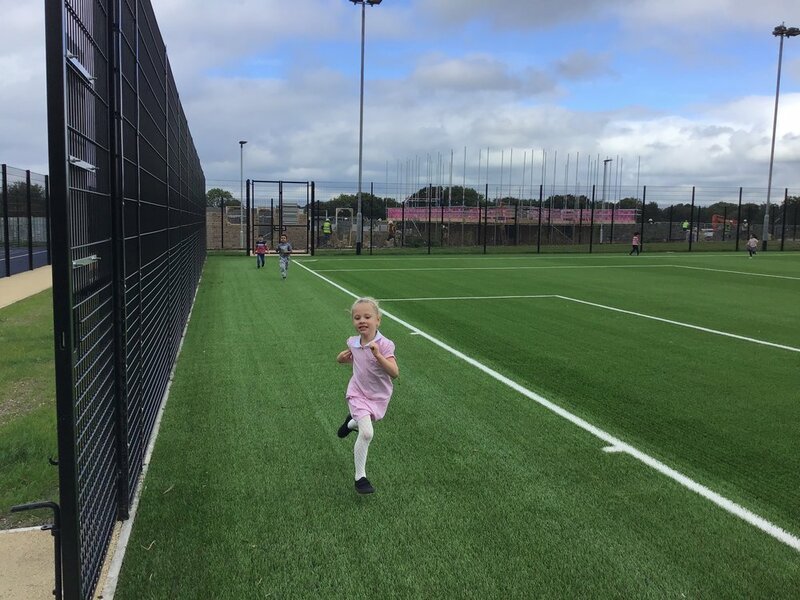 Every day we will be walking, running or jogging the daily mile around our 4G pitch. Bumble Bee class did a great job today for their first Daily Mile!